A judge set a trial date and location for the Chicago police officer charged in the 2014 shooting death of Laquan McDonald Tuesday. The trial for Chicago police officer Jason Van Dyke will begin Sept. 5, 2018, in Cook County, Illinois, Judge Vincent Gaughan ruled Tuesday. 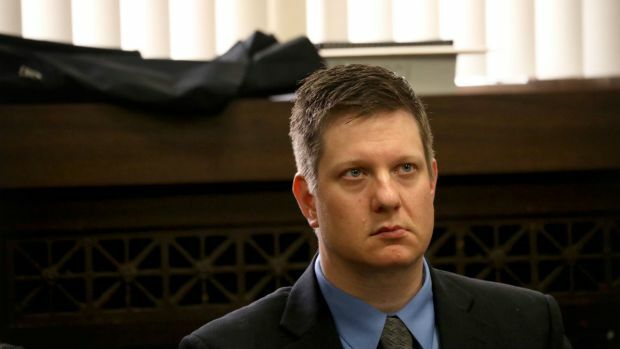 Van Dyke's attorneys asked for the trial to be moved outside the Chicago area, insisting that extensive publicity on the high-profile case would make it impossible for a fair jury to be selected in Cook County. A journalist won't have to reveal his source in the Laquan McDonald case after a judge dismissed a defense motion to compel him to testify. NBC 5's Ash-Har Quraishi has the latest. Three more pre-trial hearings will take place in late July and on Aug. 3. While Tuesday's ruling was seen as a victory for the prosecution, the final hearing will give Van Dyke's attorneys a chance to bring in jurors from outside Cook County.